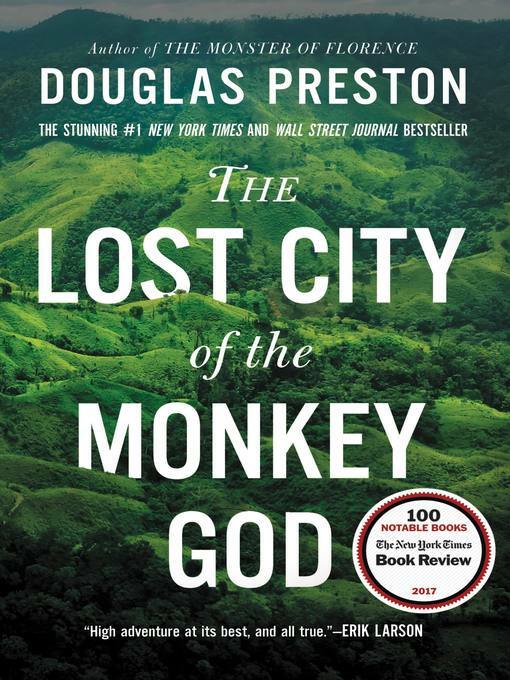 The #1 New York Times and Wall Street Journal bestseller, named one of the best books of the year by The Boston Globe and National Geographic: acclaimed journalist Douglas Preston takes readers on a true adventure deep into the Honduran rainforest in this riveting narrative about the discovery of a lost civilization — culminating in a stunning medical mystery. Since the days of conquistador Hernán Cortés, rumors have circulated about a lost city of immense wealth hidden somewhere in the Honduran interior, called the White City or the Lost City of the Monkey God. Indigenous tribes speak of ancestors who fled there to escape the Spanish invaders, and they warn that anyone who enters this sacred city will fall ill and die. In 1940, swashbuckling journalist Theodore Morde returned from the rainforest with hundreds of artifacts and an electrifying story of having found the Lost City of the Monkey God-but then committed suicide without revealing its location. Three quarters of a century later, bestselling author Doug Preston joined a team of scientists on a groundbreaking new quest. In 2012 he climbed aboard a rickety, single-engine plane carrying the machine that would change everything: lidar, a highly advanced, classified technology that could map the terrain under the densest rainforest canopy. In an unexplored valley ringed by steep mountains, that flight revealed the unmistakable image of a sprawling metropolis, tantalizing evidence of not just an undiscovered city but an enigmatic, lost civilization. Venturing into this raw, treacherous, but breathtakingly beautiful wilderness to confirm the discovery, Preston and the team battled torrential rains, quickmud, disease-carrying insects, jaguars, and deadly snakes. But it wasn't until they returned that tragedy struck: Preston and others found they had contracted in the ruins a horrifying, sometimes lethal-and incurable-disease. Suspenseful and shocking, filled with colorful history, hair-raising adventure, and dramatic twists of fortune, THE LOST CITY OF THE MONKEY GOD is the absolutely true, eyewitness account of one of the great discoveries of the twenty-first century.